The market for industrial and logistics space in Poland has been growing dynamically for more than a decade. 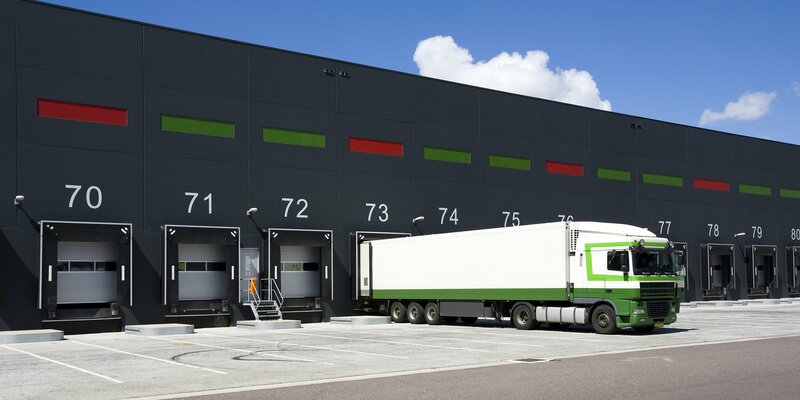 CBRE and Panattoni Europe, with the strong support from the research agency Analytiqa, decided to examine how businesses operating in the logistics sector view the current market situation, what are their development plans and expectations regarding growth across the entire sector. 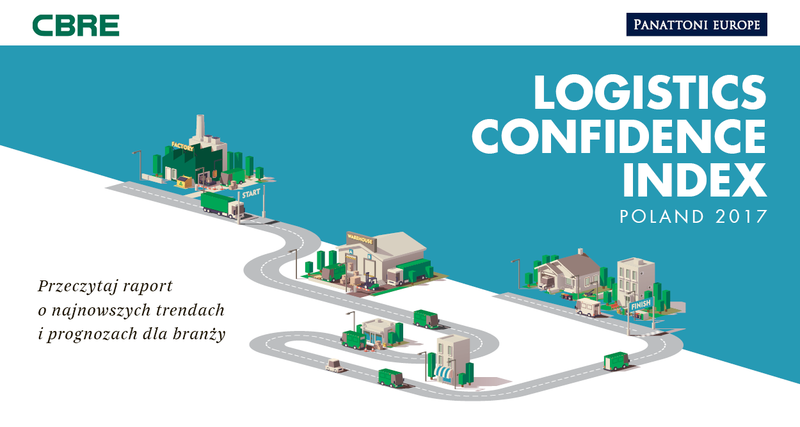 “Poland Logistics Confidence Index 2017” is the first report of its kind, measuring confidence levels in the market based on the opinions of managers of the largest and most dynamic businesses from the sector. Analysis of the logistics sector presented in the report is based on a research survey, which was completed by more than 50 respondents holding senior positions: CEOs, managing directors and other senior officers. Opinions and insights were provided by both providers of logistics services and business users of such services, which ultimately enabled the authors of the report to paint a comprehensive picture of the moods in the market, as well as current issues impacting on the growth of the entire sector. The survey confirmed that the business outlook for the logistics sector is positive. The overall Logistics and Supply Chain Confidence Index Poland 2017 was calculated to stand at 60.7, with the index for logistics companies amounting to 62.1, and that for manufacturers and traders reaching 59.1. Poland scored very well compared to other European countries where similar surveys were undertaken, overtaking Ireland (60.4) and the UK (56.7). Respondents gave high marks for investment attractiveness – as many as 64% of those surveyed believed that Poland has a competitive advantage as an investment destination compared to other countries of the European Union. Participants were asked not only for an assessment of the current market situation i Poland, but also about their future expectations for the sector. The survey conducted by an expert team helped identify key factors which directly impact on the levels of optimism and confidence in organisations. Respondents were asked to outline their development plans for the year ahead in terms of four categories: change in revenues, profitability, anticipated capital expenditure, as well aspredictions regarding employment. The survey revealed many positive predictions regarding growth in the logistics sector in the immediate future. Strong optimism in expectations regarding changes in turnover (with as many as 94% of respondents expecting to grow) is accompanied by a positive outlook on profitability (70% of those surveyed predict their profits will go up). More than three quarters of respondents also expressed an interest in capital expenditure on logistics and chain supply, and a substantial majority (62%) expect to increase headcount. Despite numerous positive opinions, many companies are anticipating various challenges in the coming 12 months. Entrepreneurs predict that key challenges they will face will be related to the limited availability of human resources and securing appropriate new locations. Companies are planning to increase business performance mainly by devoting more attention to customer relations and making investments in enhancing employee productivity. Without a doubt investments in technological advances and innovation can also help address the challenges brought about by the development of e-commerce. Findings from this report not only show the industry to be in good standing, but also – and most importantly from the developer’s point of view – shed light on client expectations. Knowledge of these expectations encouraged Panattoni Europe some years ago to venture outside major locations with the development of logistics centres. We create and dynamically develop secondary markets, and in recognition of the needs of clients from the e-commerce sector, and at the same time those of their consumers, we have invested strongly in City Logistics (the so-called “last mile delivery”). So as to the long-term outlook for the logistics sector and the warehousing market in Poland, we are convinced they will keep growing in the coming years. “Poland Logistics Confidence Index 2017” is the first edition of the report. Its value will keep growing as more data are collected in successive years, which will allow for comparative analysis. Apart from quantitative analysis, the report also includes many interesting observations from partners involved in the study. Opinions expressed by those who live and breathe this sector every day and are familiar with all of its key issues may become a useful tool and a source of valuable information on development outlooks, areas for improvement and opportunities for gaining competitive advantage over other entities operating in the market. CBRE together with Panattoni Europe created this report to look at the most recent trends and forecasts for the industry, and also to learn about the expectations and concerns of the market players. Poland keeps up rapid growth and we can look ahead with optimism. Poland’s key competitive advantages lie in its well-qualified workforce, high flexibility of Polish businesses, cheap and fast development process of warehouse facilities, as well as relatively low costs of supply chain operations. It needs to be stressed, however, that these areas present as many opportunities as challenges.